Your breath is your lifeline and when it becomes difficult to breath, your life comes to a halt. Hearing the diagnosis of COPD may sound like a sentence to a life of inactivity, a life that no longer includes enjoyed activities of your past. This is true to a certain extent, but not totally true. Over time, certain exercises have proven to help those who have COPD. If you practice these exercises and learn to incorporate them into your life, there is a chance you will be able to continue some of those activities you enjoy, though on a lower level of intensity. The two main types of breathing exercises prescribed for those with COPD, are the pursed-lip and diaphragmatic breathing exercises. What they help you do is to strengthen the muscles that are used when breathing. 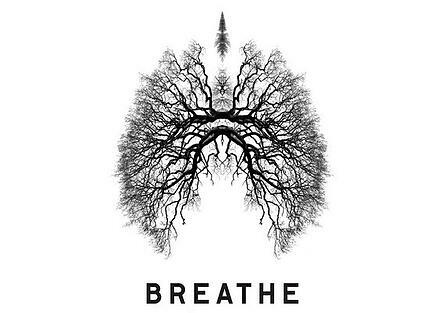 This enables you to breathe with less effort and still get more oxygen. Pucker your lips as if you are going to blow out a candle, and slowly breathe out through your mouth for 4 seconds. It may not be possible to do the seconds mentioned above at first, but with practice, you will improve. The main thing just do it and hopefully you will be able to practice it for 5 to 10 minutes a session. Practice sessions should be done 3-4 times a day. The goal is to be able to do pursed-lip breathing when you are exercising or involved in any activity and become tired. Just stop what you are doing, if possible, and do the purse-lip breathing until you are no longer out of breath. The diaphragm is your main muscle for breathing. Unfortunately COPD affects the efficiency of the diaphragm lessoning your breathing capacity. The walls of the airways are thicker. They along with the sacs in the lungs are less elastic. The shoulder, neck and back muscles take over the breathing and are not as good at it. The goal of diaphragmatic breathing is to retrain your diaphragm to become more active again. You can sit or lie down to do this exercise. The best time is when you are relaxed and feeling rested. You should feel your belly move outward. Your chest should not move or expand. Tighten your stomach muscles and slowly breathe out through pursed-lips. Some say to push down with the hand resting on your belly. Try to exhale for up to 6 seconds. This all takes practice and these exercises will bring definite positive benefits to your life. Remember when doing the exercises and exercising, to be gentle with yourself. Move at a pace you are comfortable with. The diagnosis of COPD is hard to take, but with the use of these exercises you can get some of your life back. Believe! Did you know that your diet may cause problems breathing? Stay on top of your diet with our free COPD meal plan from best-selling author and nutritionist Kellie Hill. Click here to download your free meal plan!